Winner: Ronald Lu & Partners (HK) Ltd. 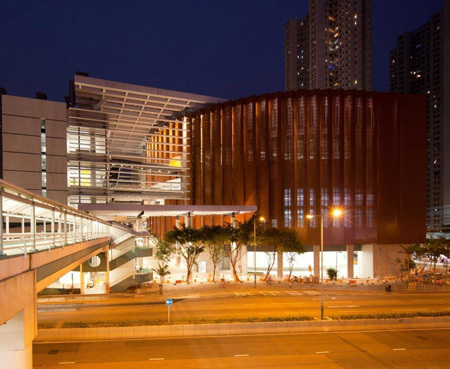 Comprising a 1000-seat multi-purpose arena, two indoor swimming pools, a library, a table tennis centre, a children’s play room, two combinable activities rooms and a 450-seat community hall, Siu Sai Wan Complex provides leisure and recreational facilities within an iconic green building envelope for residents in the Eastern District of Hong Kong Island. The open and polymorphic architectural form encourages public interaction and minimizes energy consumption. 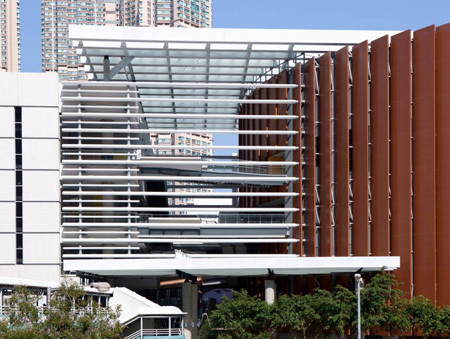 It aims to bring people interaction on streets into the building, starting with the timber-looking sun-shading screens that march from the exterior to the interior. 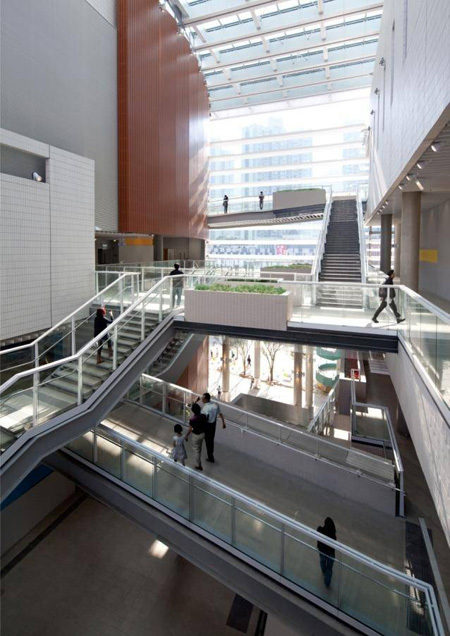 An atrium, designed as a “Vertical Street” is created in the centre where balconies, platforms, bridges, stairs and escalators strategically spiral up and provide access to the different functions at various levels on the two sides of the complex. 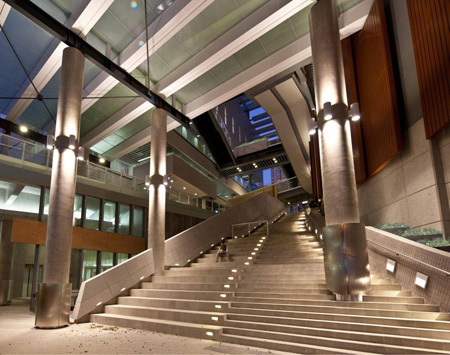 This “Vertical Street” allows people to view around the building as they travel, with pockets spaces of varying qualities that are flexible to accommodate different possibilities and to encourage the happening of spontaneous events which enrich the liveliness of this building streetscape. 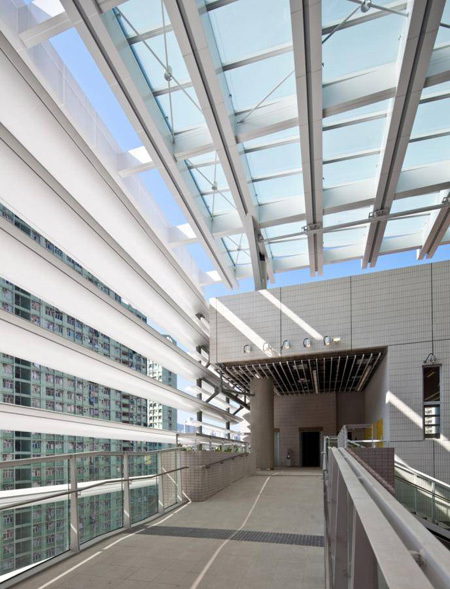 Topped with frosted glass and provided with horizontal sun-shading slats on the two open sides, the atrium is lofty, naturally ventilated and lit with daylight. Energy consumption is dramatically reduced. 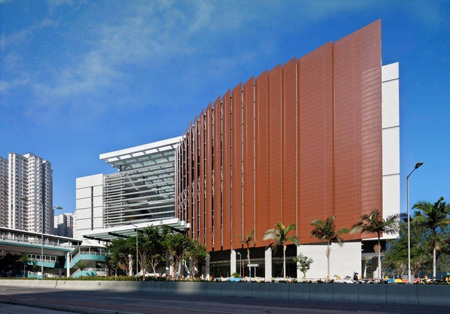 Green features incorporated elsewhere in the building include automated operable windows for natural ventilation, insulated low-E glazing, external sun-shading devices, green roofs, water cooled chillers, grey water recycling, non-PVC backed carpet, water based paints, service-on-demand escalators, photo-sensor controlled lighting, energy wheels for fresh air intake and solar vacuum tubes for hot water supply.